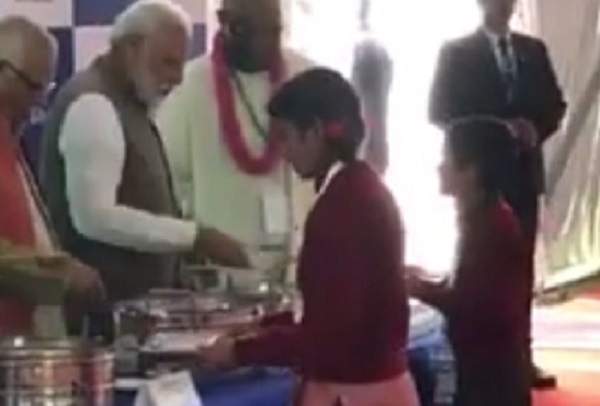 Prime Minister Narendra Modi was personally serving food to school children in Vrindavan of Uttar Pradesh. PM Modi interacted with school children at an opeing event at Akshay Patra. Today Prime Minister Narendra Modi says Shayri in Rajya Sabha in good poetic manner. 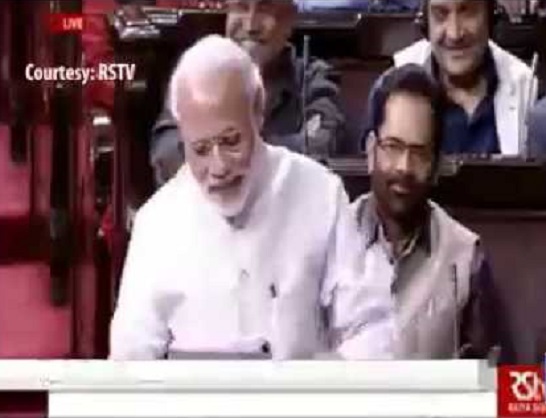 Modi said Safar Mein Dhup To Hoti Hai, Jo Chal Sako To Chalo.. Sabhi Hai Bhid Mein, Tum Bhi Nikal Sako To Chalo.. PM Modi’s Shayri was much admired by thumping of MPs.